Choosing your math curriculum can feel a bit overwhelming when you’re starting out, but don’t worry, we’re here to help. 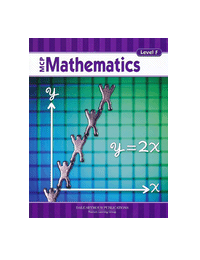 Here’s an overview of the most popular math texts available to homeschoolers. Some programs are traditional texts, some offer CD-ROM instruction and/or solutions to problems, and some were designed specifically for homeschoolers. You can compare the programs by choosing the grade levels for each program. Upper levels and other publishers will be posted shortly. John Saxon created his math program using a teaching method to help students have a clear understanding of math. 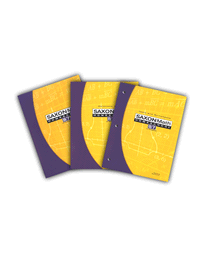 Saxon Math is based on the teaching principles of incremental development, continual practice and review, and cumulative assessment. 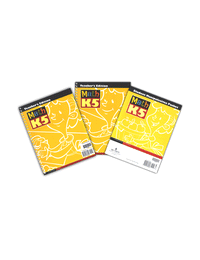 The K-3 program is designed to teach basic arithmetic concepts as well as geometry, patterns, time, and more. 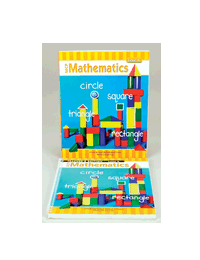 Manipulatives are used for a better understanding of abstract math concepts. The middle grades transition to a textbook approach. Above you’ll find programs for Kindergarten through Grade 7. Math K teaches foundational skills including counting; sequencing numbers; addition and subtraction stories; one-to-one correspondence; counting pennies, nickels, and dimes; sorting; telling time to the hour; and using a calendar. 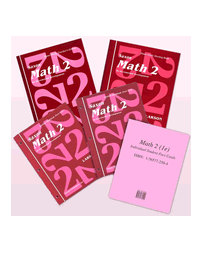 Math 1 covers skip counting by ones, twos, fives and tens, identifying ordinal position to tenth, mastering all basic addition and subtraction facts, measuring using inches, feet, and centimeters, and more. Math 2 continues building upon previously learned concepts and increasing retention. 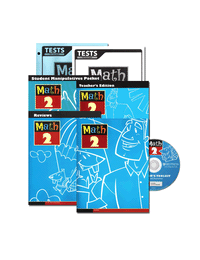 Math 2 covers working with larger numbers, geometric shapes, Venn diagrams, graphs, basic calculations, simple fractions and multi-step problems. 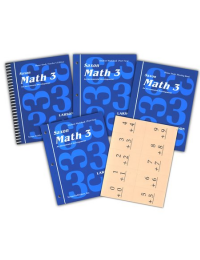 Math 3 covers skip-counting; place value; adding and subtracting multi-digit numbers; dividing by single-digit divisors; adding positive and negative numbers; adding and subtracting fractions; plus measurements, and more. Math 5/4 helps students extend their understanding of critical skills and concepts such as number sense, numeration, numerical operations, measurement and geometry, patterns, relationships, math functions, and data manipulation through charts. Math 6/5 continues with concepts and practice introduced in Math 5/4, helping to extend a child’s understanding, sharpen mental math skills, and deepen understanding. 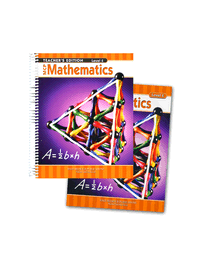 Lessons are fully integrated with geometry concepts appropriate to this level. Math 7/6 introduces new concepts required for upper-level algebra and geometry. 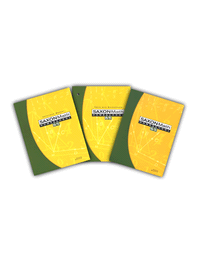 Covers compound interest; functions and coordinate graphing; integers; exponential expressions; divisibility concepts; prime factorization; ratios and proportions; and more. 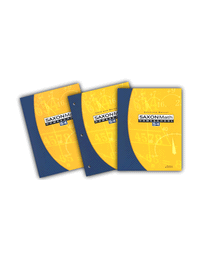 Math 8/7 reviews arithmetic calculation, measurements, basic geometry, and other foundational concepts and skills. 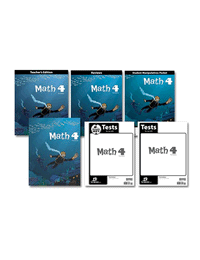 At the same time, Math 8/7 includes extensive pre-algebra exercises, preparing the student for upper-level mathematics. 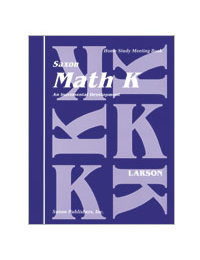 Teaching Textbooks was designed specifically for homeschoolers by two Harvard educated brothers to make learning math in a homeschool setting the best possible experience. 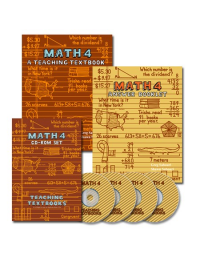 The texts are self-explanatory for independent learners with hundreds of hours of CD-ROM teaching allowing students to work through problems with a tutor in the comfort of their own homes! Plain language, friendly fonts, highlighted phrases, constant review and flexibility make Teaching Textbooks one of the most popular math programs available. For Grades 3 through 7, see above. 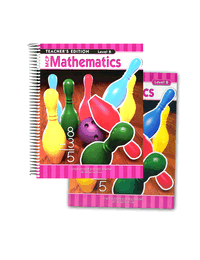 Math 6 covers fractions, decimals, percents, simple geometry (e.g. area and perimeter), units of measure, probability, bar and circle graphs, and equation-solving. 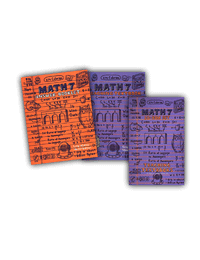 Math 7 covers basic arithmetic problems as well as geometry. 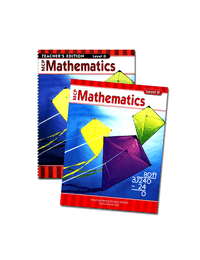 Chapters include adding, subtracting, multiplying, dividing and using whole numbers in the real world; fractions; decimals; percents; geometric measurements; graphing and more. 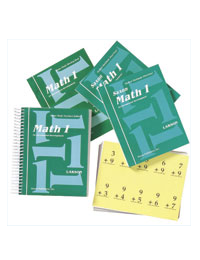 Targeted especially towards students who struggle with their core math program, Modern Curriculum Press (MCP) Mathematics uses a traditional drill and practice format with a predictable, easy-to-use lesson format. There are two versions available, the 1994 edition and the 2005 edition. The editions are pretty similar. 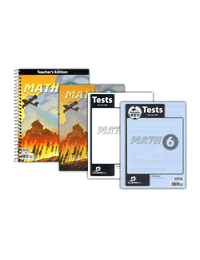 The newer version has updates to the math standards and the paper quality is slightly lower. 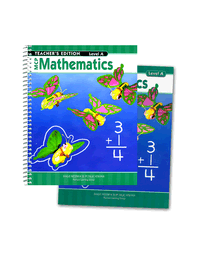 The 1994 teacher’s editions are out of print for Levels E and F, but are currently still available at Christianbook.com. Level K covers numbers through 20, sequencing, time, money, counting, place value, addition, fractions, measurement, and subtraction. 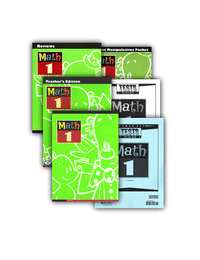 Level A (1st grade) covers numbers 0-10, addition and subtraction facts (in stages) up to 2-digit problems; place value through 200; money and time; geometry; measurement; fractions and graphing. Level B (2nd grade) covers basic facts through 18, time and money, addition and subtraction of three-digit numbers, geometry and fractions, measurement, and multiplication and division through five. Level C (3rd grade) covers addition and subtraction facts, place value to the hundred thousands, adding 4-digit numbers with regrouping, measurement and time, multiplication and division facts, geometry, fractions, and decimals. Level D (4th grade) covers addition and subtraction, place value, multiplication, dividing by 1-digit and whole numbers, measurement, multiplying whole numbers, using geometric figures, fractions, decimals, graphing, and probability. Level E (5th grade) covers adding, subtracting, multiplying, and dividing fractions and decimals; geometry; ratios and percents; graphs, statistics and probability; equations, integers and graphs. 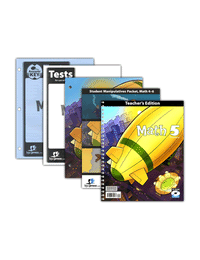 Level F (6th grade) covers adding, subtracting, multiplying, and dividing whole numbers, decimals, and fractions; number theory and fractions; measurement; perimeter, area, and volume; ratio and percent; geometry; graphs and probability; and equations. Strengthen your children’s reasoning and problem-solving skills and develop their understanding of math as a tool of commerce, the language of science, and a means for solving everyday problems. While learning with the BJU Press homeschool math curriculum, your children will see the relevance of math and its biblical basis from beginning to end. While emphasizing farm themes in the lessons, BJU Math K5 covers numbers, addition, subtraction, time, money, and other math skills. Math 1 uses manipulatives and real-life experiences to teach place value, addition, subtraction, geometry, time, money, measurement, and fractions - all with engaging themes and characters. 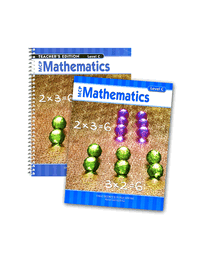 Math 2 develops understanding of place value, addition, subtraction, multiplication, and division. Basic word problems are introduced to exercise students’ problem solving skills. 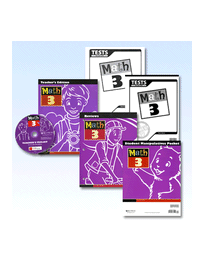 Math 3 covers addition & subtraction, place value, data time, measurement, fractions, multiplication & division, geometry, money, and decimals. 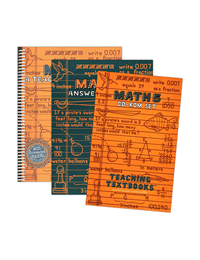 Math 4 covers addition and subtraction, fractions, multiplication and division, decimals, plane figures, data and graphs, measurements, and 3-dimentional figures. 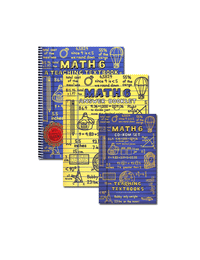 Math 5 decimals, Roman Numerals, addition & subtraction, multiplication, geometry, division, equations, time & measurement, integers, rations, proportions & percents, data & graphs, and more. Math 6 covers adding, subtracting, multiplying, and dividing whole numbers, fractions and decimals. 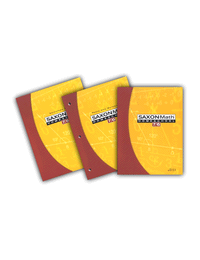 Equations, plane-figure geometry, measurement, ratios, statistics, probability, and integers are also covered.